Keeping your finger on the pulse of today's underground scene is never easy and with so much great music constantly bombarding you from every angle it is inevitable that some manage to slip by you. 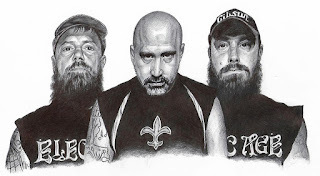 Today's review dates back to February of this year (2017) and comes from one such band who slipped past Desert Psychlist's elaborate network of traps and snares, a band from Louisiana going by the name of Electric Age, Shawn Tucker (Lead Vocals, Guitar, Bass), J Ogle (Guitar, Bass, Vocals) and Kelly Davis (Drums, Vocal), who on that date released their debut album "Sleep of the Silent King"
"Sleep of the Silent King" begins with "The Threshold" an instrumental that starts with genteel acoustic guitars picking atmospheric, almost medieval motifs then goes all electric and moves into an anthemic groove that would not sound out of place as the soundtrack to some Game of Thrones type TV show. 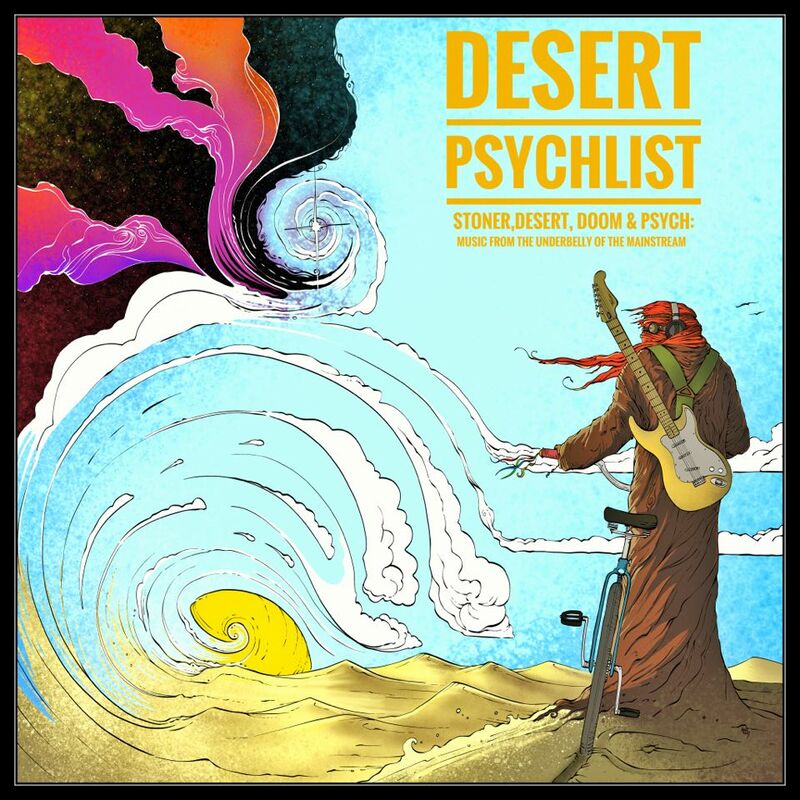 At this time you may be asking yourself why is this gracing the pages of Desert Psychlist, a blog specialising in raucous rhythms and low slung riffage, but all is revealed as next track "Shepherd and the Raven" makes itself heard and you, the listener, are thrown into a world of southern tinted Thin Lizzy-esque guitar groove fronted by cool clean vocal melodies pushed hard by a solid bass and drum combination. Although born in the USA's Deepest South and played by three guys who look like they've been raised on grits and Southern Comfort there are parts of Electric Age's overall groove that has an undeniable Britishness, the band weaving the hard rock bluster of bands like the aforementioned Thin Lizzy and UFO with the swagger and strut we have come to expect from those bands of a more southern persuasion. 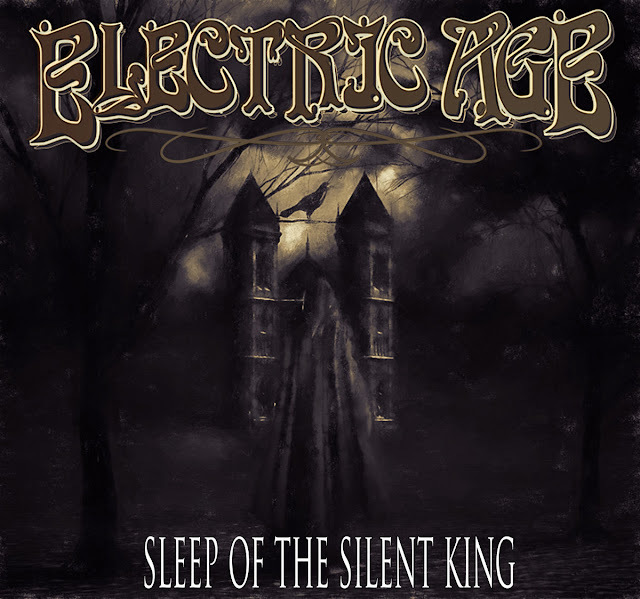 "Sleep of the Silent King" is not all riff 'n'roll though and the band are not averse to throwing in a nicely paced power ballad as with the emotive "Silent King" or even getting a little mellow and prog-ish as on "Black Galleons" which has more than a little of 80's cult icons Ashbury to it's sonic attack (check out their "Endless Skies" album for comparison). All in all "Sleep of the Silent King" is a solid, well balanced and highly enjoyable album filled with little twists and turns, nuances and delights that will keep you coming back to it time and time again.